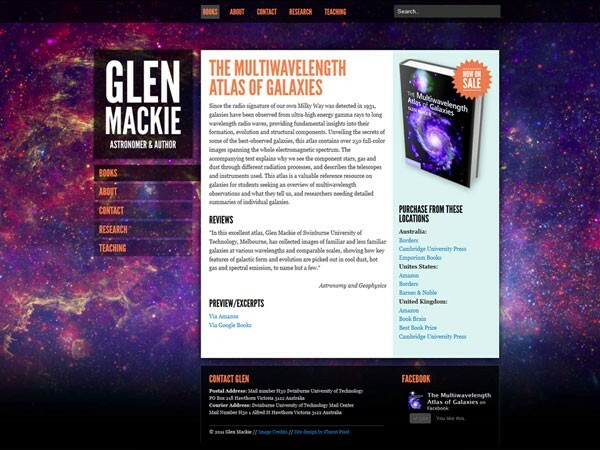 Astronomer & Author Dr. Glen Mackie approached Fluent Pixel requiring a web solution that could advertise his new book, “The Multiwavelength Atlas of Galaxies” and also tell people bit about himself. It would need to be easily updated, and look good on all modern browsers and devices. 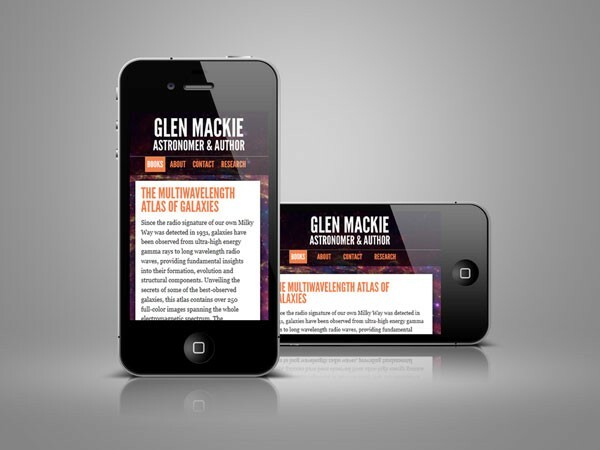 The first thing I realised when planning the design of the website, was that Glen had access to some amazing hubble telescope images that are used in his book, and these had to be used! "I contacted Brett at Fluentpixel.com to discuss the creation of a web site that would allow me to give biographical information, to help advertise a textbook I had just published, and to allow me to update it in future. Brett noted what I wanted, asked some questions about audience and delivery, and produced a striking, well designed, flexible site that has all the aspects I was after." The website was very much focused on the current book release, but also contained more information about Glen who is also a Lecturer and Coordinator of the Centre for Astrophysics & Supercomputing at Swinburne University of Technology in Melbourne. This was carried out in the form of an about page, teachings, research and more. 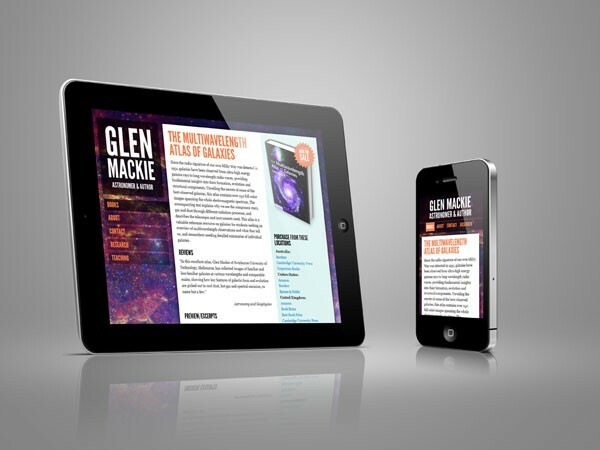 The website features a randomized background displaying 5 amazing hubble telescope images which also feature in Glen’s book. I created a responsive website, enabling his content to be fluid, and scale neatly to any size device. 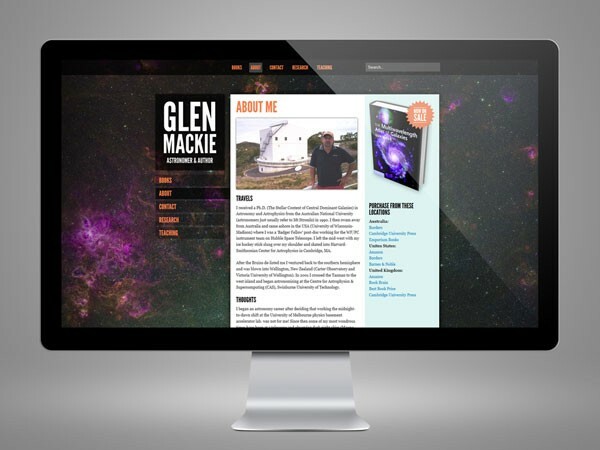 The website was also built on a Content Management System (CMS) so Glen could easily access his website and make changes when needed.